As we continue our glimpse into Charleston’s aquatic history, naturally we turn to the barrier islands that have helped protect the peninsula over its long history--no doubt, in more ways than one. Charleston inarguably has some of the most beautiful beaches in the world, and each has played a distinctive part in the development of the area. Each island has been shaped by a unique past, leading to the variety of beach vibes and flavors we cherish today. Where do you prefer to take a dip… Sullivan’s Island? Folly Beach? This week, let’s look at the history of our neighbors to the north; not The North, mind you--we’re just talking about our friends East of the Cooper. Officer’s Quarters, Fort Moultrie, Sullivan’s Island (Source and date unavailable). the first substantial fortification in 1776--which had to be rebuilt three times before 1811 due to storms and erosions.The military was present on the island, to lesser or greater degree, until Fort Moultrie was decommissioned after WWII in 1947. During the Endicott Period from 1898-1905, nine additional batteries were built from Fort Moultrie to Station 20, and the Fort itself was greatly expanded. These fortifications are still standing--some were turned into private residences, and part of one was repurposed as the Edgar Allen Poe Library. There was a huge building boom on the island, with housing and support facilities constructed for the growing military presence. It is from this period that Sullivan’s Island constructed some of its grandest homes and buildings, including the row of Officer’s Quarters, pictured above. Situated on Ion Street, the Quarters were fronted by a large green (probably for military parades) but were essentially ocean-front at the time. If you go look at these beautiful dwellings now, keep in mind that the houses haven’t moved--the beach has! Now, Sullivan’s Island definitely started the trend in the mid-1800s of using the beach for recreation--and even building homes in which to ‘summer’ from downtown--but this was for the moneyed citizens from Charleston and beyond. 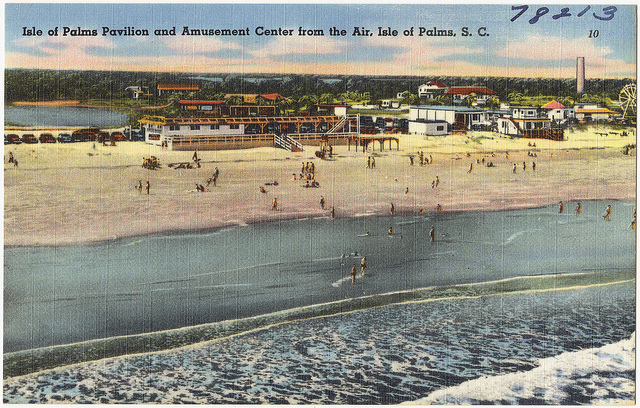 The Isle of Palms, however, from its 1898 beginnings, was designed to provide amusement and relief from heat for the middle class. Do y’all remember the story? In 1898, Dr. Joseph S. Lawrence saw incredible possibilities in store for the untamed wilderness of Long Island, which had until then been used as hunting grounds--although there is some evidence that the previous owner had kept livestock and possibly tried to grow rice or indigo on the island. The big problem was (and always had been) how to get people out there. After laying trolley tracks and building trestle bridges, the newly minted Isle of Palms was accessible to nearly everyone. 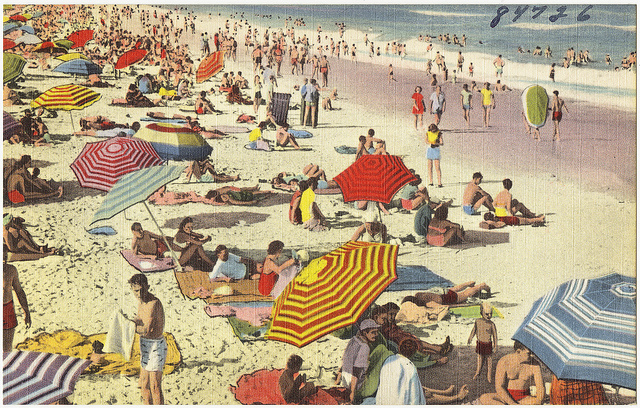 A day-trip of swimming and picnicking on the island soon grew into a grand adventure of amusements, dining, and dancing. There was a ferris wheel, steeplechase, large lounges, restaurants, and pavilions. Eventually, it was determined that the Isle of Palms could really reach new heights as a vacation destination only by the construction of the Cooper River Bridge. And, alas, in 1929, the Cooper River Bridge Company succeeded in fulfilling this region-wide dream. The new Cooper River Bridge did--at least for a while--bring new visitors to both Isle of Palms and Sullivan’s Island. But if black Charlestonians wanted to go to the beach, they had to travel some 100 miles to get there. 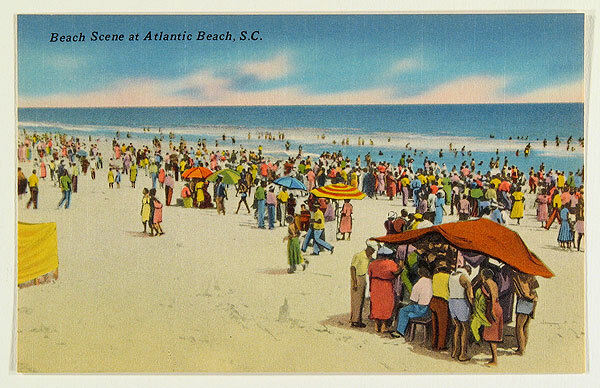 At the time, Atlantic Beach, north of Myrtle Beach, was the only beach in South Carolina where black people were welcomed. Known as the Black Pearl, it became a hub of summertime activity and amusement for black residents in the region. And it still is. For many years the Negroes of Charleston were clamouring for some out of town amusement since there were none in the city to which they could go and enjoy themselves like other races at intervals during the summer months. In the hot summer days when the sum sends it burning rays on man and beast alike, when birds forget their merry tunes but linger near any quantity of water that they may didp their bodies during the sultry housers of the day, the only relief Negroes got, was when a heavy cloud hid the sun’s face behind its black lining. Therefore in 1930 after the Cooper River Bridge was completed, a group of Southern white men thought to build up the old amusement park at Remley's Point, four miles from the city limit, across the cooper River Bridge for the enjoyment of Negroes. It is one of the most beautiful places for enjoyment around Charleston, The pavilion is unsurpassed. The miniature golf course of eighteen holes has attracted people from everywhere. The amusements, such as ferris Wheel, whip, merry-go-round and see-saws. Beautiful shrubbery and flowers that bloom almost the year round. There are bath houses with its hundreds of lockers for men and women, and cabins for those who wish to spend weekends or days. Amusement stands of various kinds selling hot food and cold drinks. According to an August 12, 2001 article in the Post & Courier, John Scanlon, a freedman, bought some of Remley Plantation in 1868, partitioned the land into lots, and sold them to other African Americans. 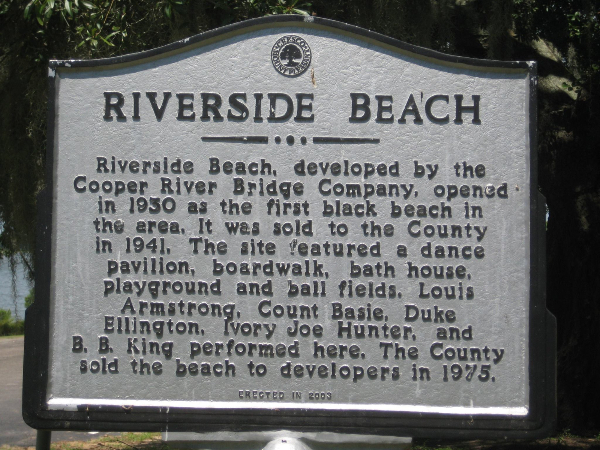 The Point at Scanlonville had already been a recreation spot for area black residents for at least two decades when the Cooper River Bridge Company spent $30,000 (despite the Depression) to build Riverside Beach Park. While not containing any sand to speak of, the large dance pavilion and boardwalk on the river attracted more than “8000 colored patrons” the night it opened. During the day, church groups and families used the facilities. 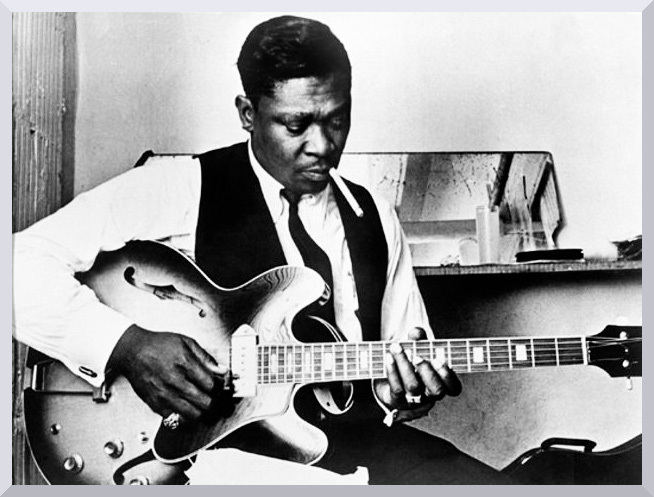 But at night, the pavilion was the only venue for black Charlestonians to see live music. The rocking honky tonks that sprung up on Riverside Beach--White’s Paradise was a popular one because it was air conditioned, but there was also Snipes, Jim Plue, the Flamingo, Star Light Lounge, Chita Chatter and Tippin’ In-- presented some of America’s finest legends--Duke Ellington, Count Bassie, Louis Armstrong, BB King...and this was James Brown’s main haunt before making the big-time. If y’all were there, or your friends, or neighbors were--let us know ‘cause we’re dying to hear the stories! Many black-owned businesses suffered after desegregation laws went into effect, for a number of reasons. Several businessmen tried to revive Riverside Beach in the 1970s but were not successful. By the time Riverside Beach was closed, its boardwalk, bathhouse and pavilions had been torn down and the area was known for crime and violence. Knowing how much enjoyment was had here for over 30 years, it seems a real shame. Looking for a Mt. Pleasant dipping spot? Ginger has a great condo for rent in Mt. 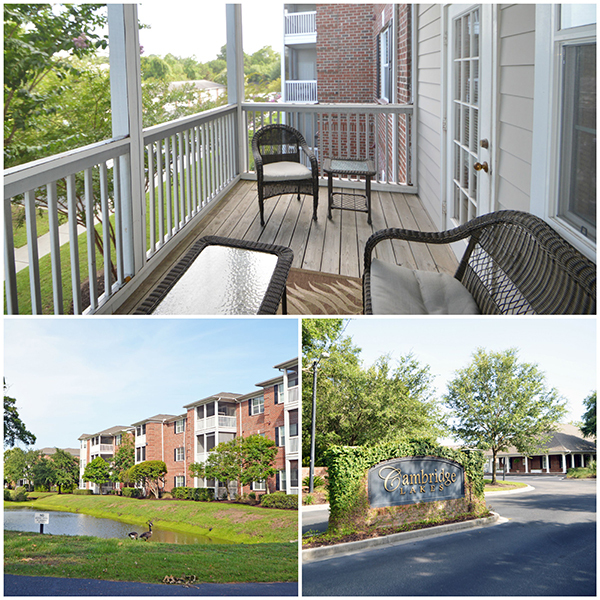 Pleasant, and guess what--it comes with a swimming pool! Click below for full listing information and call her at 843-513-5525 to schedule a showing!